Pricing, Account Set-up & Status: Published professional price lists, including this schedule, are for recognized photographic accounts. We reserve the right to limit access to the products and services that are offered in this wholesale program. Off-invoice rebates, on all published price lists, are available to studios that maintain minimum account activity. It is our goal to assist all professional photographers with the technology, tools and products to grow their business. This includes well-established studios, lower volume producers and photographers that are beginning their careers. Thank you for your consideration and feel free to contact us at any time. Although we strive to report accurate information the prices set in our internal systems will override printed price lists. Prices are also subject to change without notice. Test Prints: We encourage all new clients to submit a Test Print Order prior to launching into full production. Up to six 8×10’s can be requested as Test Prints. These files will be examined for proper profile tagging, printed without operator intervention and delivered back to your studio at no charge. This allows you to take a close look at how the prints match your monitor display and give us a very good starting point in working together with you. Test prints can be requested any time of the year and may also be good practice after major hardware and software upgrades. 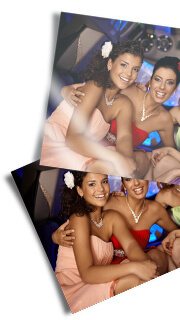 Colour Management: Colour management is critical in order for you to receive repeatable and predictable results. When submitting files it is important that each file has a valid ICC profile embedded. Without an embedded profile (typically sRGB or Adobe RGB(1998)) our technicians will have to “guess” what colour space your files are in and this can lead to unexpected results. Feel free to contact customer service if you require assistance in this area. Prices listed in ROES: Our on-line Order Entry System displays pricing for most products, this includes quantity discounts. Please note, the prices indicated in the system are based on working with fully colour managed files. If you request operator intervention (colour correcting) the final invoiced price will be higher. 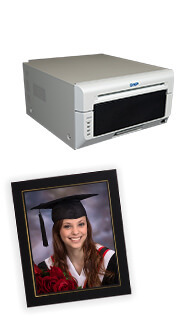 Cancelling or changing an order: It is our goal to provide you with prints and enlargements within the quickest time frame possible. We start production very early in the morning and often extend late in the evening in our busier seasons. As such, the chance of being able to stop an order once it has been submitted is extremely unlikely. We ask that you review your order very carefully for sizes and quantities prior to “clicking” the final submit button. We do rely on accuracy during the order entry process. Requests for changes to orders may be possible depending on the request. We will do our best to handle change requests but it may not always be possible. Delivery Service: We ship all over Canada and the USA, for detailed shipping information please see our shipping guide. N/C Remake Policy: If you discover an error or damage to your order please contact customer service so the order can be corrected or remade. When remakes are required we will only work from your original order so we ask you to please have your order number available prior to calling. No Charge remakes can only be produced from the original file(s) submitted. 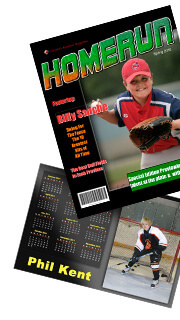 50% Reprint Program: Our goal is to provide you with a finished product that you are completely satisfied with. If despite everyone’s best efforts you receive finished prints that are not what you anticipated (and we find no fault in our production services) we will allow a reprint from a new file at 50% of the regular invoice value. 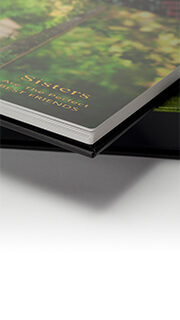 To qualify for a reprint service the size, finishing treatment and base file must be the same as the original order. This policy is in place to help you avoid absorbing the full cost of reprints; we do reserve the right to limit availability to this program. Shipping Damage: If you receive a shipment that appears damaged please do not refuse the shipment, but do a sign for the order as received damaged. As soon as possible inspect the shipment and contact us to get replacement items started. We will file the necessary claims with the shipping carrier. As shipping damage is out of our direct control orders will be replaced on an ASAP basis and shipped back using regular shipping methods. If rush or expedited shipping back is required you will be responsible for additional freight charges. Quoting larger sized prints and finishing services: This price list outlines the price of printing and finishing (mounting and laminating) services up to 48×96”. When requesting printing and finishing for sizes that are not specifically listed we will use the “next size up” method for pricing. 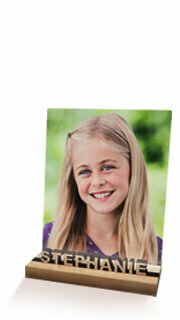 For printing larger than 48×96” please contact customer service for a quote. Studio Display Policy: Displays discounts are offered to help offset costs, get the product in your hands, and grow your business. Display products & services are perfect for updating studio décor, participating in off-site displays, and allow you to show-off your best work with fully finished pieces. 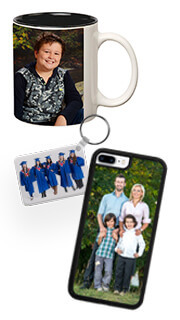 Completed display and sample pieces arrive without interfering and annoying watermarks, “sample only” stamps, or other markings that distract from your work. Restrictions: We believe that this is a great program but we do have limitations and restrictions. We, unfortunately, do not offer studio display discounts during our busiest season of the year October-December. Do not mix studio display requests with regular production orders. This could end up delaying the time-sensitive saleable work. Studio display pieces are not able to be rushed through the lab under any circumstances, please be sure to plan ahead for this and allow yourself enough time to receive the piece(s) with plenty of time for your show/event. Please be sure to read our Studio Display Policy before placing an order.